I mentioned in my Jane Eyre review that my first foray into classic literature was with Pride and Prejudice. Today I have decided to review this book. We meet the Bennet family. A family with money but on the verge of having to work for a living. They have an excellent house and 5 daughters as well as a silly mother and steadfast father. Elizabeth Bennet is our heroine and seems to be the most put together of the sisters and is their father’s favourite. The town becomes the new stately home of Mr. Bingley who is known to make £5000 a year. He arrives with his sisters, brother in law and best friend, Mr. Darcy. Bingley takes a liking to Elizabeth’s older sister, Jane and begins to court her. Everyone believes that they are to be wed but Mr. Darcy is found to have told Bingley not to marry below his station. Mr. Collins arrives to the Bennet household and he proposes to Elizabeth who turns him down (hilariously). Mrs. Bennet is in an outrage over this, wanting to get her daughters married off as quickly as possible, whilst making good connections. Elizabeth’s best friend marries Mr. Collins due to her panic of getting too old to find a husband. Mr. Whickham arrives with the cavalry and woos Elizabeth. However, it is with her youngest sister that he runs off with and marries. This is not before he informs Elizabeth of how horrible and pompous Mr. Darcy is. 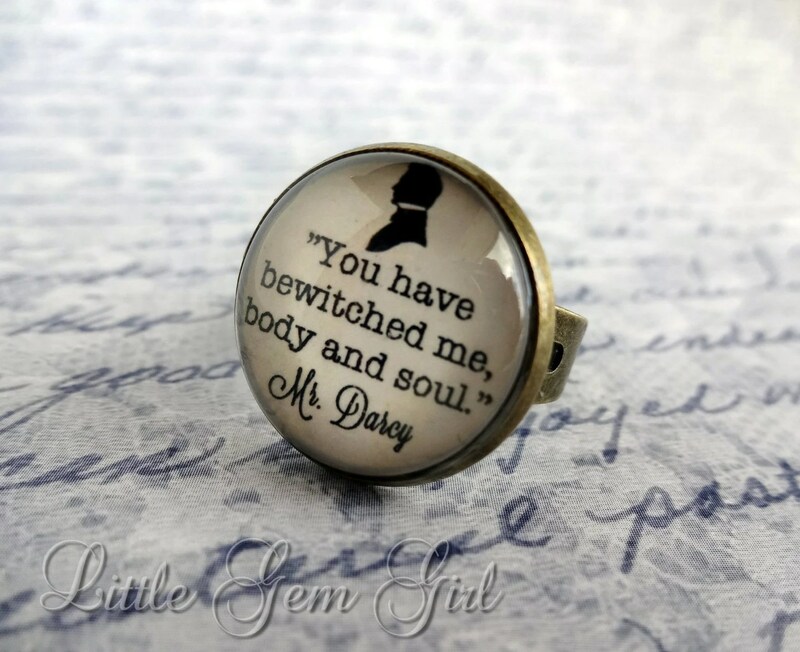 Surprisingly, Mr. Darcy proposes to Elizabeth. However, his proposal is truley awful, claiming her to be below his status and that she should feel lucky he is even allowing himself to be degraded by acknowledging her and her family. Obviously Elizabeth says no. Elizabeth goes to visit the new Mrs. Collins and due to the position of Mr. Collins as pastor for the venerable Lady Catherine de Bourgh, learns more about Mr. Darcy and finds his previous nature towards her and her family to be of an anomaly. Whilst on holiday with her aunt and uncle, Elizabeth ends up visiting Mr. Darcy’s grand estate and ends up seeing him there. Here she finds that he is not quite so prideful and much more open and joyous to be around. Perhaps her own pride got in the way of their union? Lady Catherine de Bourgh hears about a possible union between Mr. Darcy (her nephew) and Elizabeth and storms over to the Bennet’s house to find out whether her nephew had made a proposition to Elizabeth. Elizabeth says no but if he were to make one in the future she would not reject it. Mr. Bingley returns and asks for Jane’s hand and then Mr. Darcy returns with him and once again asks for Elizabeth’s. Obviously, they both say yes and the pride and prejudices that were keeping them apart have now been vanquished. I love this book. The BBC adaptation is also excellent. Elizabeth Bennet is a truly delightful character. 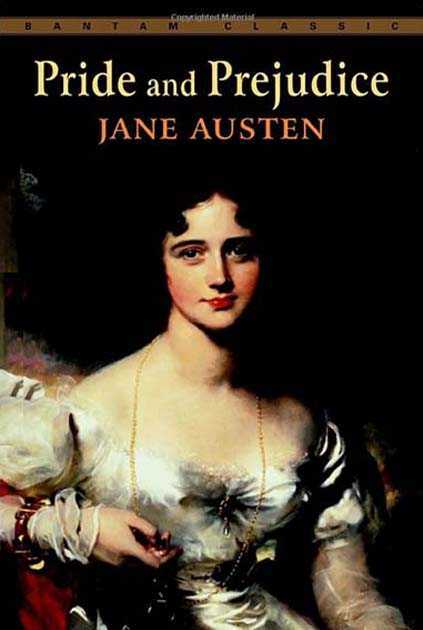 Her wit, intelligence and sarcastic mouth transcend the 201 years from first publication to now. The family interactions are often done with great amusement and Elizabeth’s rejection of two of her marriage proposals are excellently executed. The one to Mr. Collins is hilarious. Her attitude is very modern as she waits until the man she loves asks her, never agreeing to marriage for status or money (obviously she gets both with her marriage but it takes 2 attempts from Mr. Darcy before she says yes). The marriage between Mr. Collins and Charlotte is shown to be the ‘proper’ way for an unmarried twenty-something to act as even though Charlotte does not love Mr. Collins, she feels she needs to get married soon as she is ‘past’ the desirable age. Mr. Bennet is also quite a modern man. He only wants what is best for his daughters (particularly Jane and Elizabeth) and finds his wife’s constant moaning and badgering to be rather tiresome. However, he does what he can to make his daughter’s union to a ‘higher class’ by calling to see the new resident of Mr. Bingley. He is every girl’s dream father and before accepting Mr. Darcy’s request of marriage to Elizabeth he checks with her first to see if she is willing. Obviously being called Pride and Prejudice, both these themes run throughout the books and every character (bar Jane) has these flaws. Even Elizabeth lets hers get the better of her and we see how far she has to go to allow them to be beaten to accept Mr. Darcy’s marriage proposal. However, how he expected any girl to agree to his first offer is beyond me. Tip for you guys: never say that the girl is below you in status and that her family are idiotic whilst stopping her sister from marrying your best friend for the same reasons! All in all one of my favourite books. My verdict 9.5/10. Again, the same as with Jane Eyre maybe if I had been reviewing in the 19th century, this would have been a 10 but obviously the writing is convoluted and difficult to get into meaning you have to be in the right frame of mind to read this or any classic novel. My first experience with classic literature was brought to me via High School exams. My English Literature class required me to examine Mr. Collins’ proposal to Elizabeth Bennet. 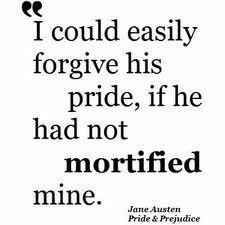 Our fabulous English teacher decided that instead of reading the book, which she knew would be tiresome to most in my class (and up to this point even me) decided that watching Pride and Prejudice in class would be much more productive. 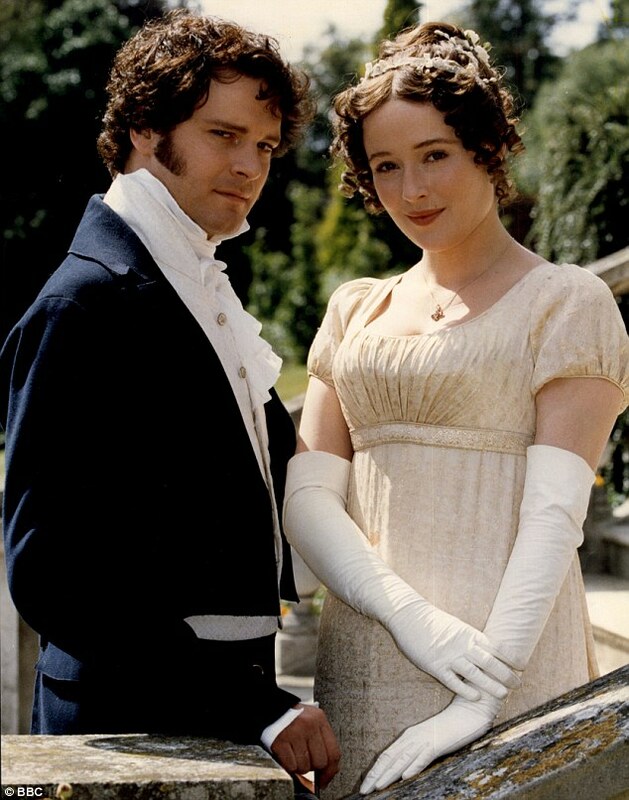 The BBC’s 1990’s version is excellent and a young Colin Firth is a very desirable Mr. Darcy. All told, this was an excellent way to bring a 19th century novel into the minds of 15 year olds. Due to this, I ended up reading the whole of Pride and Prejudice through my own volition and loved it. It is this that has brought Jane Eyre to my attention and allowed me to be open enough to give the very convoluted writing a go. We enter into the life of Jane Eyre. An orphan who has been left with her irksome Aunt and horrible cousins. Her life is simply awful and the promise of boarding school is welcomed with open arms, even after the disgrace she is put through via the pastor who financially runs the school. Her life takes a turn for the better and after school she is kept on as a teacher. After two years of employment and a total of 8 years at the school, Jane seeks employment elsewhere and is given the opportunity to be a governess for a young girl in Thornfield Hall. No geographical names are given within this story but we assume this place to be around Yorkshire. Here Jane enters into the servitude of Mr. Edward Rochester and tutors his ward, Adèle. Luckily, Jane learnt French from a Frenchwoman so is able to keep up with the excitable little French girl. Through the coming months, we see nothing of the master of the house and Jane begins to see how gloomy the old mansion is. Add to this the odd sounds and strange happenings that occur whenever a mysterious maid is around (Grace Poole) and we have the beginnings of a ghostly past. The following weeks bring Mr. Rochester back to his estate and we see the start of a friendship between master and governess. He stays longer than normal in Thornfield Hall and eventually entertains some guests. Through some deception on Mr. Rochester’s behalf, he surmises Jane’s growing affection for him and later proposes to her which she says yes. During their wedding we learn that Rochester is already married, to a crazy lady who keeps escaping her nurse/maid, Grace Poole and attempting to either kill or maim the residents of Thornfield Hall. Jane leaves, heartbroken and eventually falls on her feet as the headmistresses of a new school. After coming into some money, finding some cousins and a new proposal, Jane returns to Thornfield Hall to find it burnt to the ground… But what of the residents? I always find the classics hard to get into a first. The language is always convoluted and obviously old. To add to this, Jane Eyre also has 19th century French to contend with too. Luckily for me, I have spent the past 2 years in France so have a little understanding of the language but it still made me take longer than usual to read this. Women in the 1800’s who could read must also read French and perhaps German (due to the odd lines found within these pages). Jane Eyre is quite a modern take on life for women of the time. Clearly this is a theme of classic women heroines as Jane Austen creates quite feminist women too. They only marry men they love, status is not really a question for them if they love them and they wont take anything less in life than what they feel they deserve. All very modern ideas. However, whilst our heroine’s don’t seem to follow the 19th century archetype, the supporting cast do. Mr. St. John doesn’t love Jane but asks her to marry him so that he may have an intellectual woman with him in India and it would not be right to take his cousin as his cousin or even as his sister. The supposed union between Miss. Ingram and Mr. Rochester is shown to be the ‘proper’ union until we see she is just a gold digging, status hungry wench. These little things all add to the ‘traditional’ of Charlotte Brontë’s era. The writing is excellent. Brontë paints some excellent scenes and her transition from child Jane through adolescence and womanhood are beautifully portrayed. Her growing love for Rochester is not forced and her acknowledgement of both his and her flaws is true for all 19 year olds. The questioning of her age is still viable today. Anyone would regard a 20 year age gap with some distaste in either era. My verdict for this book is 7/10. I think if it wasn’t for the random bouts of French and if I was reviewing this when it came out it would have been higher but still, for a book 167 years old, this is an excellent score and well worth a read.